As many of you know I joined the Mount Vernon Presbyterian School community this year serving as the Head of the Upper School. Mount Vernon is a school of “inquiry, innovation and impact” and we are redesigning the school experience for our students. So far, the experiences and challenges seem to be just what I was seeking. Take a look at what I’ve been experiencing these past few weeks. This laundry list will provide you with a taste of what life is like at Mount Vernon. 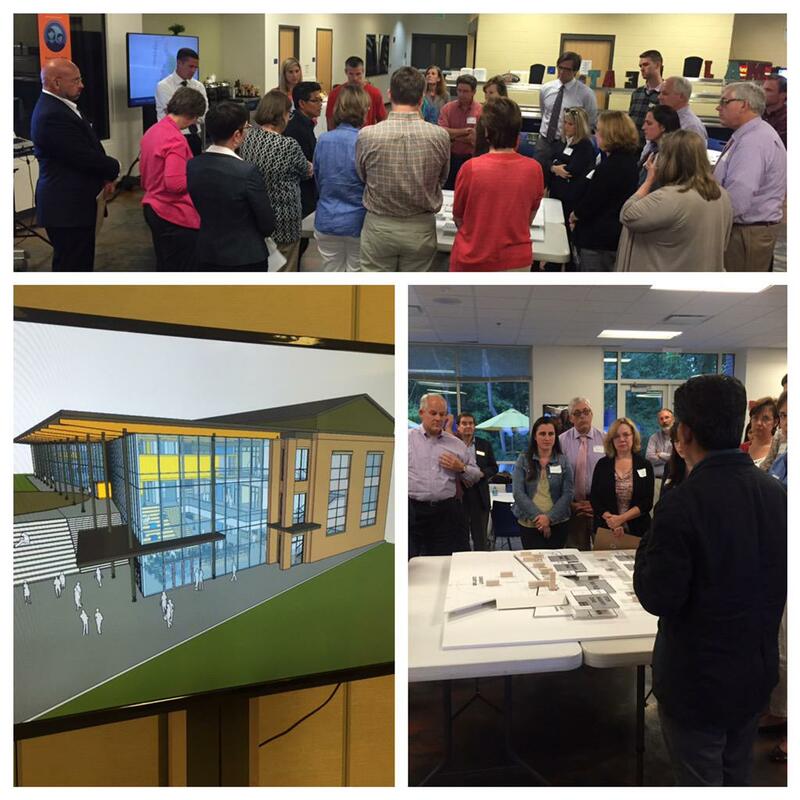 On September 22 and October 6 Trung Le, Christian Long and the rest of their team from Wonder by Design held Curiosity Conversations around the current prototype of the proposed Upper School building with members of our community. The current model is nothing like your traditional school building. “Flexibility” was the number one word used by those who participated in the conversation. There are “Inquiry Zones”, “Inquiry Accelerators”, “The Plex”, “The Mobile Action Lab”, and STEM areas. This building represents the school that we want to be and our efforts to create a program that fits the space are continuous. Our students are working on their iProjects and those students who are seeking to find the topic that hooks them have had access to mini-field trips around town (The Beltline, CNN, College Football Hall of Fame, Historical Sweet Auburn Market), entrepreneurs and social entrepreneurs like Corbin Klett (you have to see his 3 min speech at the Georgia Tech Commencement Ceremony), Ted Wright, from Fizz, Chantel Adams from Forever We and designer Jenn Graham of Atlanta Streets Alive. I, along with colleagues and students attended the Creative Mornings – Atlanta meeting where Aarron Walter spoke about Empathy and designing for emotion at MailChimp. 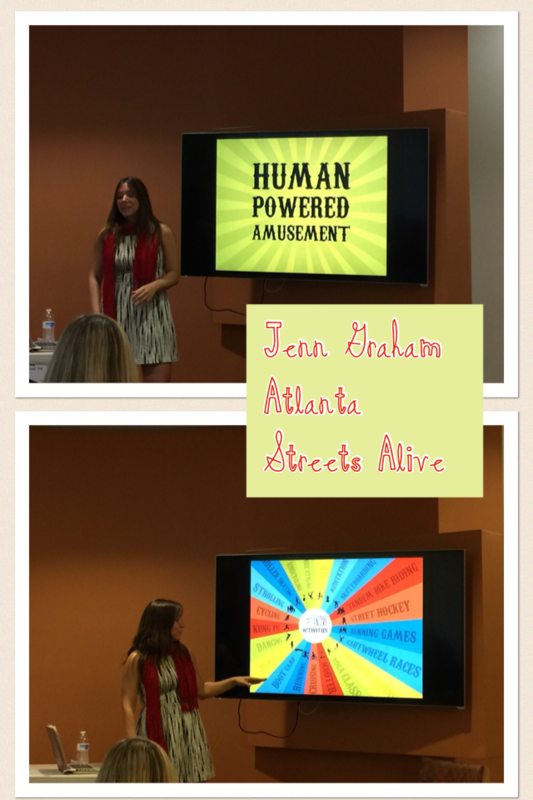 Our students then visited the Museum of Design Atlanta and had lunch at Atlanta Tech Village. While the MVAllstars provided our community with a powerful drama around Armenian immigrants to the US, our World History students were conducting interviews of local Armenians to learn more about the their knowledge of the genocide that occurred 100 years ago. Our photography students prepared an exhibit that set the tone as viewers entered the theater and one of our teachers shared his family’s immigration story. This was an excellent example of teams working together to craft the entire experience for theater goers. Oh, and it’s been so long ago that I almost forgot about having the honor to attend Plywood Presents where we heard from many inspirational problem solvers. To provide our students with opportunities to travel abroad and within the US we kicked off sign up for our interim trips. Students can chose from trips to Australia, London, Greece, Costa Rica, Seattle, New Orleans, Crystal River, FL, local internships and other local experiences. Plus, our Innovation Diploma students will be visiting the Stanford d.School to work with graduate students on a Future of Food challenge. 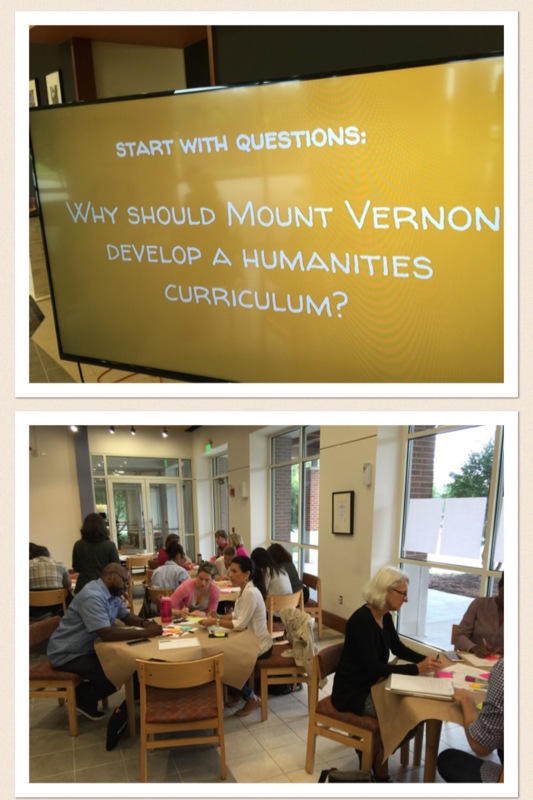 More later on our work on improving assessment practices and designing a MVPS Upper School Humanities program. I’ve talked about our leadership team’s experience with design thinking when we redesigned our high school trips earlier this year. As I mentioned, we literally learned by doing. Today a small group of us were able to experience a 1 hour workshop from the d.school on design thinking. If you’re interested in a primer on design thinking, this is the one for you. It’s so easy to organize because you just need the video, a partner and some materials to use for prototyping. The pace is fast which is just part of the process. This workshop is an abbreviated process but in general, the pace is fast when you’re designing. You have to really learn about your partner during the process. You’re forced to study his/her process for giving gifts and learning as much about them and the process in a very short amount of time. At one point the facilitators tell you that the session should get emotional and people may cry. Prototyping can be quick and dirty and you need to share unfinished work to test out your solution. It’s somewhat strange to build a 3D item that shows a process. The process does lead you to test something and then make revisions. In this workshop you just don’t have much time to revise. You can really become engaged quickly when your working on a design challenge. I see many ways that our organization can use these principles when we are looking for solutions. There is less talk and more doing and testing out concepts and you’re really focused on the users. I’m looking forward to finishing up the our trip project and starting something new. The design thinking work on our annual trips for next year continues as we work to “Redesign the experiences to make them indispensable and unforgettable so that the mission and core values come to to life.” There are three things that I think that I’ve learned in the past couple of weeks. I’m not exactly sure if I’m on the right track but, as the facilitator, I’m moving forward. We started our last meeting by watching this trailer for the documentary, Design & Thinking. The second learning from the trailer is that we should plan to fail. When I initially considered this I thought, “No way! This can’t happen because we are the high school leadership team and we’re supposed to come up with the perfect solutions. What will people think if we fail?” Then I realized that it actually may be a good thing for us to fail. Maybe we need to learn how to learn from failure and to model this for our community. Hey, one of our core values is Risk-taking. As I mentioned in my last post, my past experience has been with the quality process and the focus is on defining the problem and barriers and then taking steps to remove the barriers. 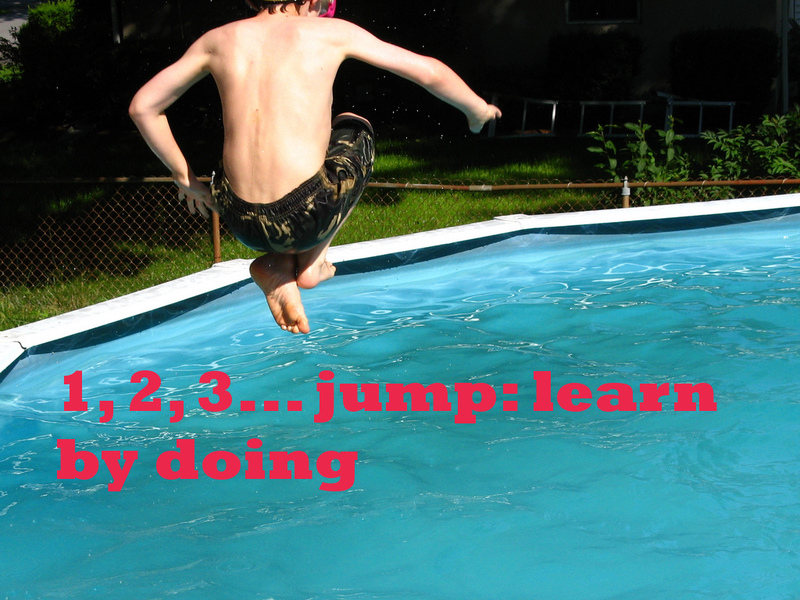 My last piece of learning deals with a shift from removing barriers to developing solutions. 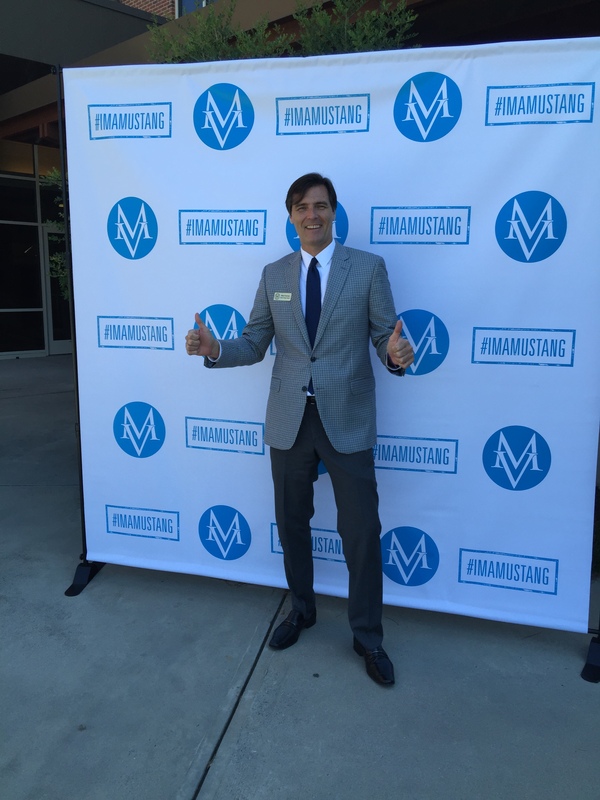 As we speak to students and teachers I find that I’m energized by thinking about possibilities and solutions. We also looked at what other schools and organizations are doing with trips and that was inspirational. It forced us to think differently about what we currently do. While we have defined parameters, we seem to not be spending time coming up with reasons why we can’t make changes. Instead we envisioning what can be and how we can create that amazing experience for students and teachers. We have another prototyping session next week and each team is responsible for coming up with a plan. We’ve invited two travel companies that we work with to provide us with ideas and options. I’ve also got one more focus group session with 11th grade students. Oh, did I mention that the two groups have are just a bit competitive? It just adds to the fun. As I learn while doing I need to think about how we can test out the prototypes. Maybe we can present these to students and teachers for comments or for a vote. Based on our expectation of failure it makes sense to not immediately decide to use one of the models for the real thing. Probably better to test it out with our audiences before spending an enormous amount of money on the trips. Anyone have advice for our next step? I welcome any and all suggestions. I have always been someone who likes using defined processes groups. Probably the most useful workshop that I ever attended was David Langford’s Quality Learning seminar. I have used his tools for problem solving as an individually and with groups for years. For several years now I have been wanting to learn more about design thinking because the concept seems sensible and interesting. Instead of solving problems this focuses on finding solutions by learning about the stakeholders. So, instead of taking the time to attend a workshop I decided to jump right in and learn by doing. Thankfully, IDEO has a free online toolkit to guide me through the process and my colleagues are game for trying something new. For several years we have struggled with our annual week long trips in the high school. For one week in September the entire high school travels to four different locations in Brazil. The groups are organized by grade level and there have been two objectives. exploring various cultural aspects of the respective community. environmental issues in the community. sustainable development and the economic environment in the community. fun activities that are representative of the community. We have also been working, with mixed success, to link the trips to course curricula. Each year we get mixed reviews from students and teachers and we feel like we just haven’t gotten them right yet. The factor that tipped the scale is that for two years in a row we had a large number of seniors decide to not travel with their classmates. So, this seemed like the perfect opportunity to give the design thinking process a chance. After reviewing the trips from this year and that past we have defined our challenge, set a timeline and gathered the information that we have on hand. I’d love to hear ideas and suggestions from design thinking experts that are out there. We’re definitely going to need support throughout the process.